We managed to track your package, and we have attached the invoice you asked for to this reply. 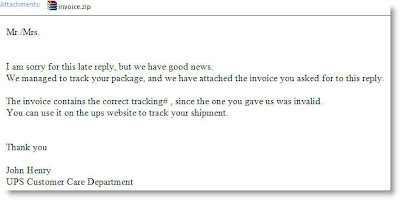 The invoice contains the correct tracking# , since the one you gave us was invalid. I have recently used UPS to send a package to my cousin but he never received it. Also , the tracking number doesn't check on the website, and I lost the invoice.